Aguas Andinas joins a diverse, global community of over 140 companies that have made a commitment to advancing water stewardship. The CEO Water Mandate Secretariat welcomes Aither as its latest endorsing company! Soorty Enterprises joins a diverse, global community of over 140 companies that have made a commitment to advancing water stewardship. 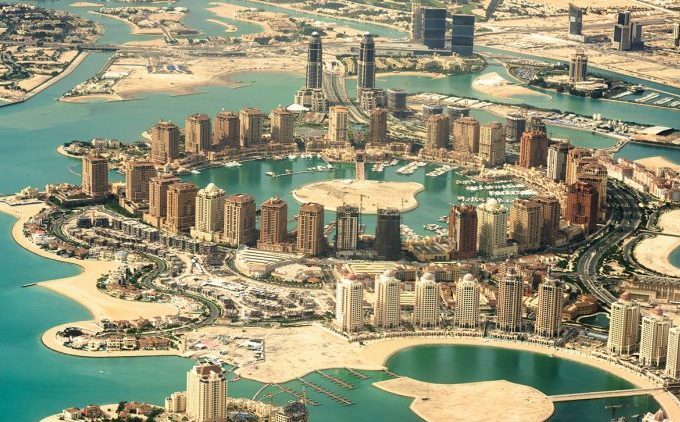 The CEO Water Mandate Secretariat welcomes Phoenix Global DMCC as its latest endorsing company! The Dow Chemical Company (“Dow”) today unveiled its Blueprint for Sustainable Watershed Management to a multi-stakeholder session of The CEO Water Mandate. The CEO Water Mandate Secretariat welcomes Microsoft as its latest endorsing company! An open letter to the High-level Political Forum for Sustainable Development from multi-stakeholder representatives of the water and development community, calling on the UN system and governments to build resilience through urgent action on water. The CEO Water Mandate Secretariat welcomes International Flavors & Fragrances Inc. as its latest endorsing company! 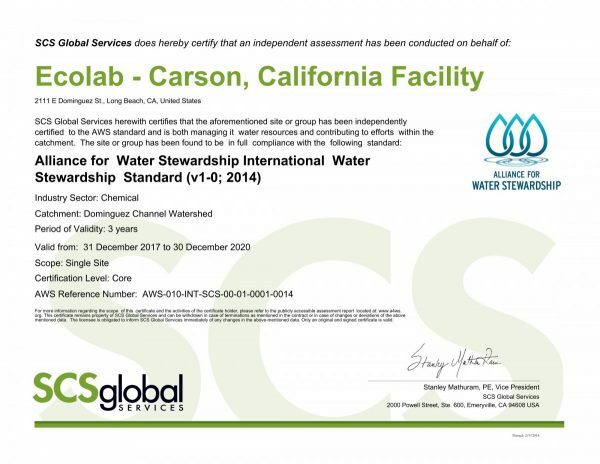 Ecolab has achieved Alliance for Water Stewardship (AWS) certification at its two manufacturing facilities in California, in Carson and City of Industry.